This was a test that was heard 'round the world due to the importance of the U.S. sending astronauts to an area near the Moon in the early 2020s. It will be humankind’s first foray beyond low Earth orbit in nearly 50 years. Today, NASA and Aerojet Rocketdyne, a subsidiary of Aerojet Rocketdyne Holdings, Inc. (NYSE:AJRD, hot-fired an RS-25 engine in a test that marked another milestone toward the first crewed flight of the agency’s Space Launch System (SLS) while laying groundwork for future production of the heavy-lift launch vehicle’s main propulsion system. The 365-second test at NASA’s Stennis Space Center near Bay St. Louis, Mississippi qualified the controller for the third of four RS-25 engines that will power the SLS first stage on Exploration Mission-2 (EM-2), which will send astronauts to an area near the Moon in the early 2020s making it the first excursion beyond low Earth orbit in nearly 50 years. Also on the test engine was an additively manufactured component designed to dampen engine vibrations that could create stability issues during flight. The pogo accumulator assembly, the engine’s largest additively manufactured component to date, has now performed successfully on two successive RS-25 hot-fire tests. The first test was on December 13, 2017. Eileen Drake, Aerojet Rocketdyne’s CEO and president stated that Aerojet Rocketdyne is playing a vital role in the nation’s effort to expand the frontiers of humankind, and that this test is the latest example of their steady progress, not only toward EM-2 but also toward putting the nation’s exploration program on a sustainable path for the future. 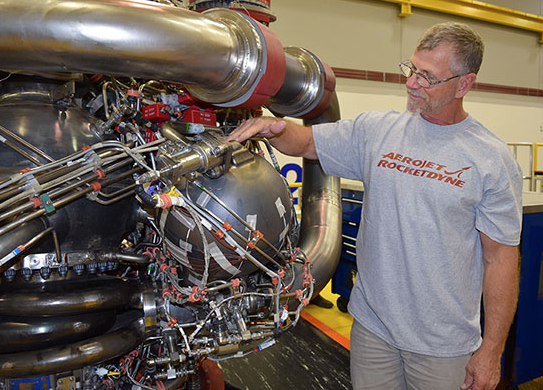 Dan Adamski, RS-25 program director at Aerojet Rocketdyne stated that they ended 2017 with a successful engine test in December and have now maintained that momentum into 2018. Future testing this year will continue to add to the program’s inventory of flight controllers and will bring additional development hardware into the test program to demonstrate design, manufacturing and affordability improvements. Their pogo accumulator assembly is just one of the first of these efforts to be hot-fire tested.